The indie five-piece are playing the South By Southwest (SXSW) festival on 18 March. It's a week before the release of fifth album The Hazards Of Love, but it won't stop them playing the whole thing in its entirety. There'll be joined onstage by Lavendar Diamond's Becky Stark and My Brightest Diamond's Shara Worden because both feature on the album. It's certainly a novel way of previewing new material. 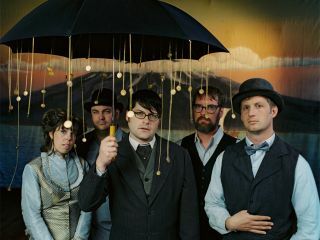 Those making the trip to Austin, Texas next month should head over to NPR's music showcase at Stubb's for The Decemberists' headlining slot.